A Campground known for it's live music! Music styles performed here tends to be geared towards old blue-grass and country western, with some oldies mixed in. 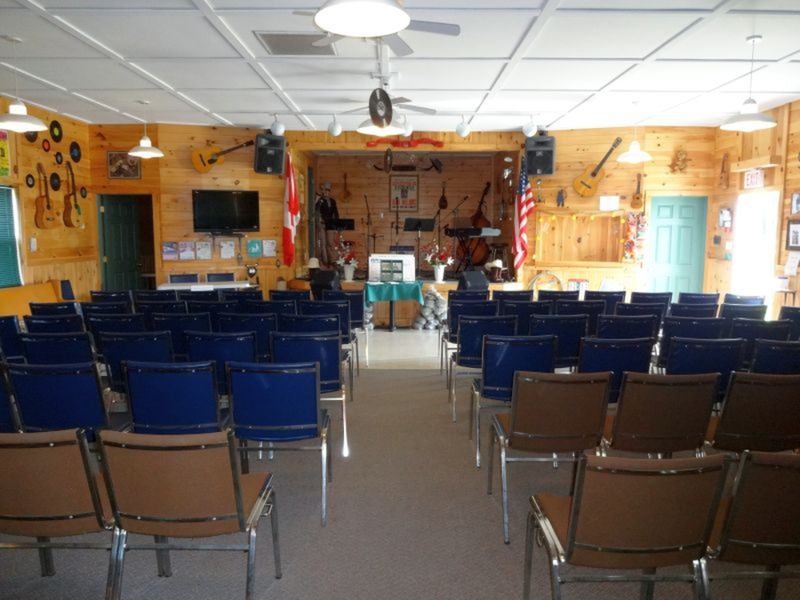 We have a beautiful music hall equiped with a stage and sound system. The hall seats up to 140 people. We're always looking for new talent and open to various music styles such as folk, celtic, oldies, modern country, etc. Music runs from 7pm until 9pm. The first hour is dedicated to the performer(s) and the second hour we ask the performer to do backup for open mike. 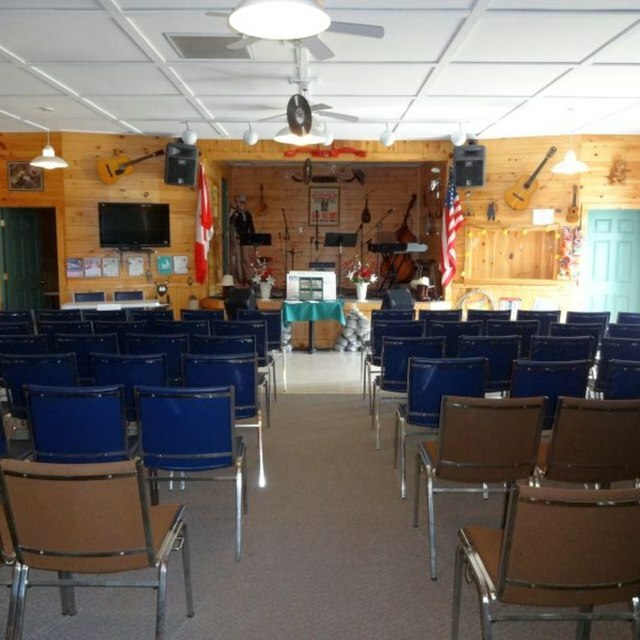 If there are no sign ups then the band can play the second hour or if there is not a full hour worth of open mike participants, then the band can play the remaining time. If interested in playing here on a Friday or Saturday evening, send us a message with samples of your music. Thanks!